So generally the exit row is a pretty desirable seat. There’s more leg room for a start – and leg room is EVERYTHING these days in economy class flying. But is the exit row really the best option and how much will it cost you? If the plane is mostly empty. This doesn’t happen that often, but some flights do still take off with many open seats. If there’s a whole row open, then such a row can be more comfortable even than first class. You want width more than space between seats. There are several seats open in the regular or extra legroom sections and you care more about seat width than space between seats. One drawback of exit-row seats is that the armrests are fixed, so you can’t lift them up for extra space, even if the row isn’t full. If you have a tight connection. In a few cases, especially a 757-300, there are two exits, and exit-row seats can be located as far back as row 33 (on United) and 41 (on Delta). But even on smaller planes, the exit rows are located towards the middle of the planes. And from experience, I can tell you those 5-10 extra minutes it takes for everyone in front of you to deplane will feel a lot longer. It also can be the difference between barely making the connection and needing to rebook for the next flight. You are hungry. If you plan to buy food on board — whether by choice, or lack of time — remember we live in the age of few, if any, free onboard lunches. Of course, no airline can make sure they stock enough food, especially hot food, for all passengers to purchase. But again, from recent experience, and complaints from clients, I know that many food choices can run out in the first third of the plane, and on a cross-country flight, it’s not like there are options for pit-stops. If the only exit-row seats left don’t recline. On many planes, there are two exit rows back to back, and in those cases, the more forward of the two won’t recline, theoretically to keep from blocking passengers in the second row from getting to the door. In this case, it’s a trade-off, extra legroom vs recline, and I know many people who still prefer the exit row in this case. But it’s worth considering. If you’re traveling with a pet. Pets are not allowed in exit rows. Period. If you want a window seat mostly for the views. Yes, passengers can see out of the window at the exit row. But the wing is generally in the way of the best views. A preferred seat in front of the exit might not have quite as much space, but it can have less obstruction. You have to bear in mind that in this world of seat selection payment you are probably going to pay more for that exit row (as well as a bulk head seat and that’s another whole bundle of pro’s and con’s). Also bear in mind that when you do select and pay for the exit row you have to be sure that you are able physically to help in an emergency – so if you booked and paid for the exit row and the flight attendant feels that you could not physically deal with the responsibilities they can ask you to move. Sometimes you might find an exit row at no additional cost to pre-book. Be warned – there is no such thing as a free lunch. 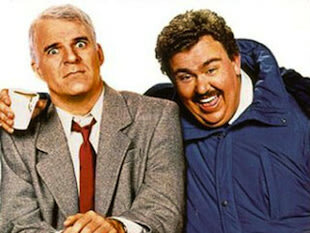 This is an interesting story from a traveller that was posted on the website – The Points Guy. I booked a flight from Cleveland to Singapore, the longest leg of which was about 15 hours. I couldn’t believe my good fortune when I checked in, because there was an exit row seat available and it didn’t require additional payment. I should’ve known something was up, but being a novice international traveler at the time, I thought it was just luck and good timing. Well, the reason that seat was available had nothing to do with luck or timing. As I soon found out, it was up against the storage space for an enormous ladder that would drop down and inflate in case of an emergency. It stuck out directly in front of my seat so that my left leg (the one nearest the window) was just about locked in and unmovable. That made for a very long trip to Singapore. It was a rookie mistake, but now I know to be leery when I see an exit row seat available. Next time I’ll make sure it’s not an exit row with a gigantic protrusion coming from the wall! Good advice for sure. Be sure to check out seatguru.com. I always use this website for checking out the layout – BUT – remember that airlines can change the equipment which might affect your choice and also remember that some packages using group airfare, for example, will not allow for advance seat selection. In that case your fate rests with the gods! Give me back my seat! Seat selection on a flight is important – no – let me say it is very important. In fact for some people it might make the difference between getting on the flight and not getting on the flight. Maybe you are a very tall person with long legs (not that I would know what that feels like! …. 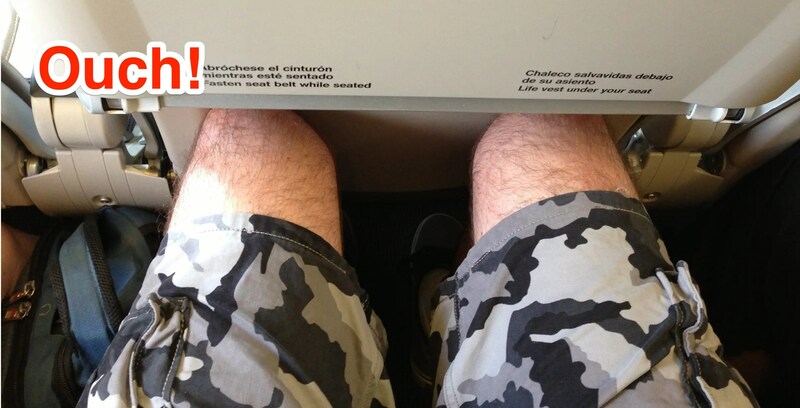 ps I am 5 ft) and you just have to have that aisle seat if you can’t afford to fly up front. Some people have other issues – someone who is afraid of flying might want a particular seat – maybe nowhere near the window. Or there might be those claustrophobic people who need to be up near the front. They need to see a way out of this crazy flying tube! If they don’t have that seat it could be trouble for everyone. So you can see that seat selection is a very important issue. Airlines have realised that too. More and more are charging for seat selection. And not just the “good” seats – some are charging for the privilege of pre-selecting your seat anywhere in the aircraft. OK so you could wait until 24 hours prior when you can check in online and then select your seat BUT if you are too late then and are not able to select a seat BEWARE. You could get bumped. I know it’s not fair but it’s true. (In fairness this doesn’t usually apply to charter flights or to Westjet). So all well and good. You take the trouble to select your seat, pay the extra money and then there is a schedule change. You get a schedule change notification – maybe just 10 minutes – no big deal, right? WRONG. You could have lost your seats. Even though you pre-paid for them. I have seen a number of these instances over the last few weeks. “Seat held, changed or gone at booking: One member theorizes a held seat may be taken by a positive purchase by another passenger. But it could be due to another factor listed below. Disability designated seat: Some seats are assigned preferentially to people with disabilities, and their companions, under the Air Carrier Access Act. Even some non-disability seats may be required for a person with a disability in some conditions. Equipment change: AA Information Technology’s very inefficient at these. You may have selected a Main Cabin Extra as an elite, yet a change from one aircraft subtype with differently numbered seat rows to another and you may find yourself moved from your carefully selected MCE aisle seat to a middle seat in one of the last rows. Aircraft substitutions from one type to another (77W to 772 or v. v.) or even “downgauging” (767 to 757) may occur – this will generally result in unanticipated seat changes. Equipment malfunction: A seat may not be available on a specific flight because it was reported as malfunctioning and has not been repaired yet. Crew rest seat: Some seats are contractually required to be set aside for resting crew, on flights of specific lengths. Federal Air Marshal (“FAM”): FAMs are generally accommodated in the highest class of service in seats that are often popular with passengers. These accommodations may occur at any time, and by law AA must both comply and not reveal to passengers the reason for their seat loss or change. That’s correct: AA is prohibited by law from telling you your seat was given to a FAM, so you will only hear implausible and made up reasons of how you lost your seat. Other: AA might be required to seat a passenger with a small child together, displacing another passenger. There may be other reasons as well. So if you were neurotic about selecting your seat in advance, you will be even more neurotic after having read this. “I’m flying business class on a KLM-operated NW codeshare, IAD-AMS-NBO and DAR-AMS-IAD on the return. When I first made my reservations, my agent confirmed window seats, and added my DL number. My DL profile notes a window seat preference. 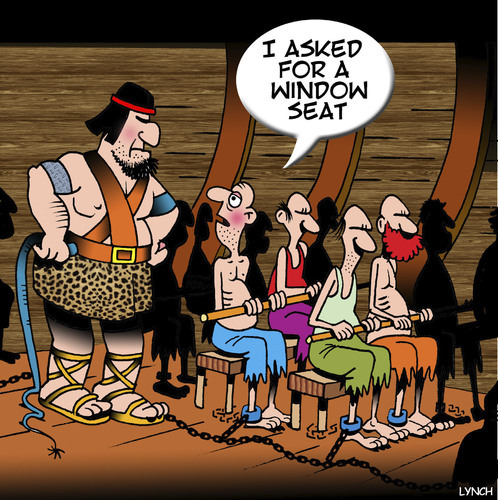 Now there are lots of airline passenger rights advocates out there but I don’t see anyone talking about seat selection. I am sure that will come …. one day. In the meantime, let’s just blame it all on the IT department. When you travel stuff happens. We know that. Flights are late, transfers don’t arrive and sometimes hotels don’t meet up to your expectations. Having been in this business for more years than I care to confess online I have seen a wide range of travel problems and also a wide range of how different people (and companies) deal with this. Getting there – the flight – Wow. Is there anybody out there who has never been impacted by a delay, a cancellation, a “we’ve run out of meals” situation, a mix up in seat selection? If there is please let me know because that would amaze me. I remember boarding a flight once in New York with my family (2 adults and 2 kids) with our seat selection clearly stated on the boarding pass only to find once on board that the row we were assigned to did not exist. We stood to one side while a harried looking flight attendant got everybody else on board while she tried to figure out where to seat us – and yes – we wanted to sit together. She had the brilliant idea of upgrading us to business class (thank you very much) until she realized we had 2 kids (5 and 12) and suddenly it appeared that we were not eligible for an upgrade. I think we deserved business class! I didn’t complain at the time – or afterwards. Should I have? I might have got a voucher for future travel from the airline but in the moment all I really wanted was four seats together for me and my family. So it’s all about priorities. I was living in the moment and when we eventually got four seats together I was OK.
“Um … I am my travel agent. I made the booking.” She had no answer. Everyone has a different way of dealing with travel problems so I want to use an example of a very reasonable couple who experienced problems with their vacation and how they dealt with it. Let’s call them Dave and Heather. The flight – a special seat selection service had been booked and prepaid with printed documentation and tickets stating the seats. At check in they were told that these seats were not on the “manifest”. Dave and Heather pointed out that they had paid extra for this service. They were asked to produce their Visa receipt???? They realized they were not getting anywhere so offered to pay again for the seat service but were told they could not. Go figure. At the hotel they had problems. Now it is strange but sometimes it is like a weird kind of karma. Once something starts going wrong those ripples turn into waves and those waves turn into a tsunami. It went from bad to worse. The staff were well meaning but ineffective and Heather decided not to waste her precious holiday time with negative feelings and complaints. It was therefore a bit of an eye opener when a few days later, while standing at the reception desk, she witnessed an absolute melt down with someone checking in and after raising the roof the staff quickly upgraded this person to a presidential suite. Hmmm – Heather thought to herself. Maybe being polite and optimistic is not the way to get things done. Isn’t that sad? Doesn’t that say something about today’s society. The Squeaky Wheel – the Threats – the loud voice. Take down names. Most airline staff have a name badge. Make a note of the time. Airlines and hotels can check shifts and names. Contact the onsite rep – if you have booked through a tour operator there will be a local rep who will either be based at the hotel or will have a desk or contact number so you can reach them and make them aware of your concerns. The local rep keeps in touch with head office in Canada or the USA and is the one most able to quickly deal with any problems. Keep your travel agent up to date – a quick email just advising that you have had problems (and maybe a brief description) and that you are in contact with the local rep. Your travel agent will then be able to monitor things on our side with the tour operator in Canada or the USA. Write it down – a full chronological report of all and everything that went wrong is a great help. If you have your cell phone take a few pictures too. But keep your complaints real….. not like these courtesy of Thomas Cook UK. There are lots of strange noises, bumps and sounds that happen before, during and after a flight. Some of them may be very frightening …. Are you scared of flying? Don’t worry – you are not alone. Some very famous people have experienced this fear – people like Ronald Reagan. Can you imagine being President of the United States and being scared of flying. That’s a fear he had to overcome. “Ronald Reagan grew fearful after a rough flight in California in 1937 and for nearly 30 years he criss-crossed the US by train. As a politician he had no choice but to deal with his fear. Once a fellow passenger congratulated him on beating the phobia, to which he replied: “Overcome it? Hell! I’m holding this plane up in the air by sheer willpower.” (courtesy Conor Pope of the Irish Times). Even Marge Simpson had her problems. The whole issue of fear of flying was covered in an episode of the Simpsons which received some of the highest ratings – obviously a lot of people wanted to see how Marge coped with her phobia. Of course there are other fears you might experience on a flight – such as the fear of sitting next to a stranger. I am not sure if this particular fear has a name but I know for sure my husband suffers from this. Travel agents always laugh about making bookings for family members as they turn out to be the most high maintenance clients out there. As well as a fear of sitting next to strangers he also has a background of flying experience having flown gliders in South Africa competitively. This makes him a delightful travelling companion. Every thrust of the engines, tilt of the wings or flare before landing produces either a complimentary grunt or a disgusted shake of his head. Yes he mentally flies the plane the whole way …. and gives me (his dear wife) regular updates on altitude and speed. His very best flight EVER was when he was able to hear air traffic control through the headphones. 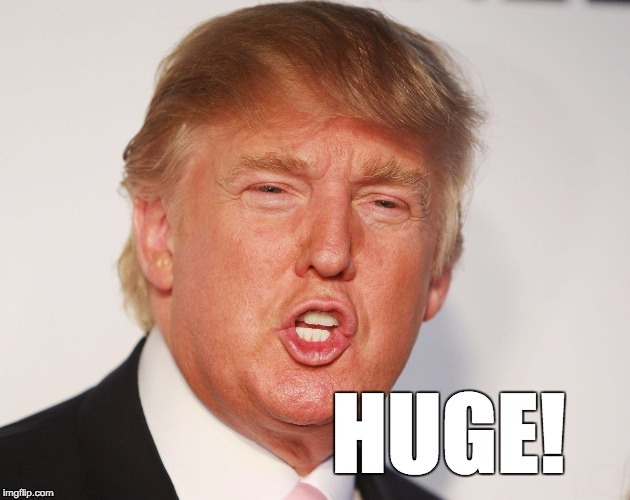 That was HUGE …. as Mr Trump would say. It’s very important – and airlines know it. That’s why so many are charging for the privilege of selecting your seat in advance. What to do? Pay up or take a chance with the 24 hour check in. It depends how neurotic you are about where you sit on the flight. And believe me – I think most of us are totally neurotic where you sit on the flight. That’s why websites like http://www.seatguru.com are essential in order to prepare. Some seats look perfectly innocent on the airline’s website seating plan. Go check that same seat on seat guru and you will find that it doesn’t recline fully or there is an obstruction on the floor minimising your leg room or maybe it is too close to the washrooms or the galley. Yup – thank you seat guru people for this advance information. However it can be a problem knowing up front that you have a crappy seat. Let’s say you have booked a last-minute flight and you have to take what you can get. You go onto seat guru and read that your seat has limited recline and limited leg room. Aaargh – now you have to stress about that until you get to the airport. Then you can try to change your seat at the gate. Isn’t it funny how there is always that crowd of people hanging around with boarding passes in their hands and hopeful expressions on their faces. 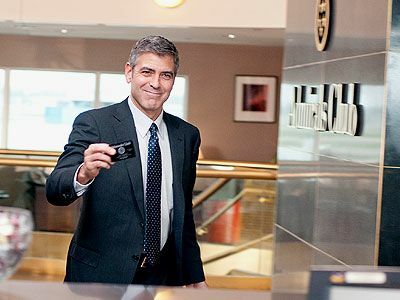 Unless of course you happen to be that Double Platinum Uber Frequent Traveller – well duh! Of course they are going to change your seat – right? The people at the desk have the power. THE POWER! They can get onto that keyboard and click away – for AGES – doing stuff. You ask them nicely. Always a big smile – that helps. Click click clickety click. Don’t try to see what’s on the screen. It won’t make sense to you anyway even if you could. Click click click. Mmm – does her face look hopeful – is there any clue you can glean from her expression. You did tell her that you have difficulty in a middle seat because of your small bladder. Explained it was a genetic problem. If she could … perhaps….it would be wonderful …. really appreciated… realise she is very busy….etc etc. Still no eye contact but suddenly brrrrp brrrrp brrrp – and your new boarding pass is being printed out. Here you go – she says. Just hands out the boarding pass – no information about where or what or if she has changed it. And then she is off to the next person. You go back to your seat – sit down and put on your glasses. Look at the boarding pass. HOLY MOLY! You have hit pay dirt! Aisle seat in emergency exit row. Yeah Baby! You take that you Platinum Double Edged Diamond encrusted frequent traveller. I am a NICE person and I deserve this. KLM has come up with a doozie …. when you select your seat you can do it online with Facebook so that you can check out your fellow passengers and see who you might like to sit next to. What? Are you kidding me? If I am travelling alone the only person I want to speak to is the flight attendant. I don’t want to become BFF with the person sitting next to me – yes that very same person who stole the arm rest and snored all night. I also don’t want to exchange chit chat with someone who has been creeping through my facebook page and laughing at all those really really stupid moments of my tagged life. But hang on – there is an upside to this too. I guess it would help to know in advance who to avoid on a flight. You could probably tell this by their facebook profile, the films they like, the books they read, the music they listen to, their friends, their political views, their “status”. Actually this gets worse and worse the more you think about it. Do we really want or need all this excess and often stupid information. Facebook started off as a good idea and made Zuckerberg a lot of money but I dunno. It’s starting to give me the creeps.